Article in the Victoria Times Colonist featuring two of my photographs. Watch the Global News TV piece as well below, featuring my video footage and an interview with Ancient Forest Alliance’s Andrea Inness. 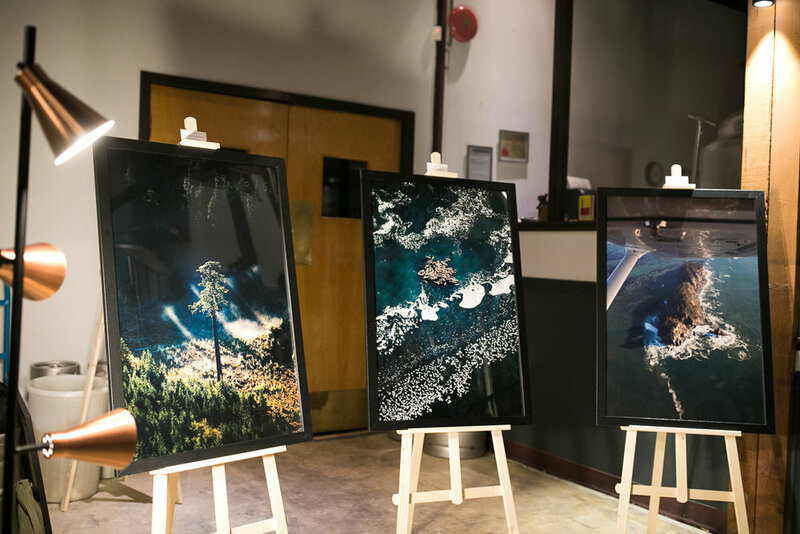 Stoked to see my image (bottom left) on display as part of the augmented reality installation of Big Lonely Doug from Anthropocene at the Art Gallery of Ontario! The exhibit runs until Jan 6th, 2019. Photo: Dean Tomlinson ©Art Gallery of Ontario. Myself and Ken Wu spent two days with journalists, taking them on an old-growth bushwhack and through clearcuts on southern Vancouver Island. 1) Beyond their aesthetic appeal, old-growth forests offer a host of values that second-growth tree plantations do not. They support unique and endangered species that can't flourish in second-growth (like spotted owls and mountain caribou) and are vital for tourism, clean water, wild salmon, carbon storage, and many First Nations cultures. 2) Almost the entire western world is only logging second or third-growth forests. 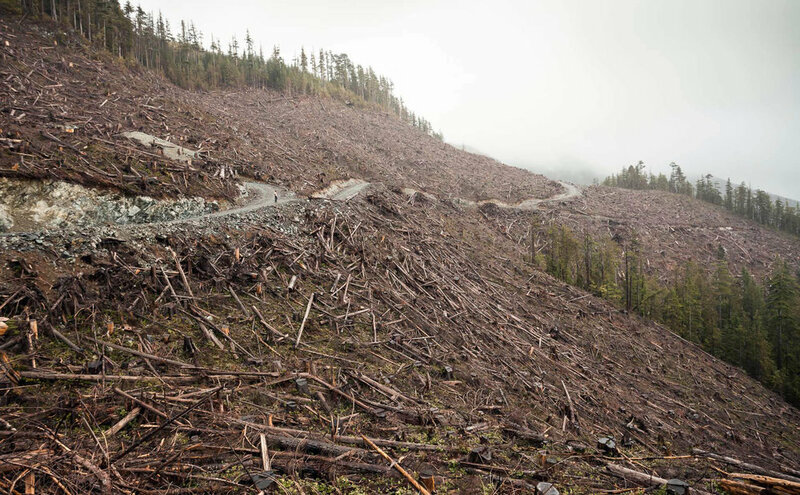 We can and should make the full, inevitable transition to a second-growth forest industry BEFORE the last of the unprotected old-growth is logged...and quickly. 4) Independent, family operated mills are not representative of the coastal forest industry. 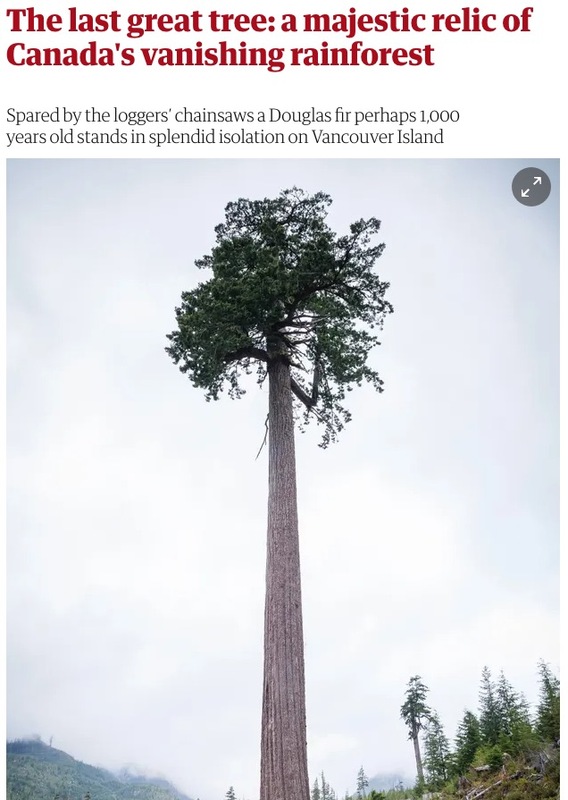 Many have been forced to close due to increases in log exports, corporate concentration, and the depletion of the biggest, best, accessible stands of ancient trees over the past 20 years. 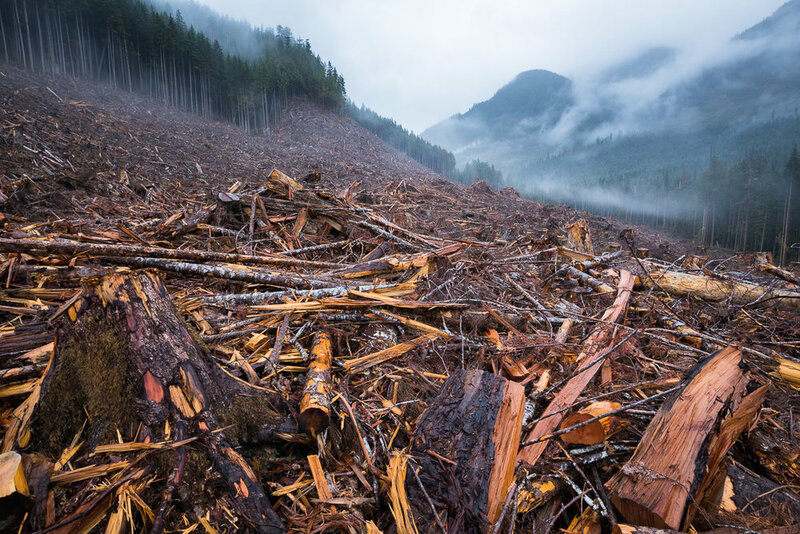 Western Forest Products, Island Timberlands, TimberWest, Teal-Jones…these are overwhelmingly the companies responsible for the vast majority of the cut on Vancouver Island. 5) The “forestry workers who want jobs vs. environmentalists who love big trees” is largely a tired old division of the 1980’s and 90’s that we have worked hard as conservationists to bridge the gap on. One of the main forestry unions, the Public and Private Workers of Canada (PPWC), representing thousands of Vancouver Island sawmill and pulp mill workers, have called for an end to old-growth logging on Vancouver Island and we’ve worked closely with forestry workers to end raw log exports, ensure a value-added second-growth forestry transition, and to save old-growth for almost two decades now. 6) Economic studies have shown that old-growth forests have a greater economic value standing than for logging when factoring in tourism, clean water and fisheries, non-timber forest products like wild mushrooms and berries, carbon value, and recreational value in southern BC. This is more true today than ever. Port Renfrew and Tofino are shining examples of communities whose economies have vastly benefited from standing, living ancient forests. CBC Kids News: Should old-growth forests be protected? This photo gallery features some of my images of big trees and giant stumps as well. 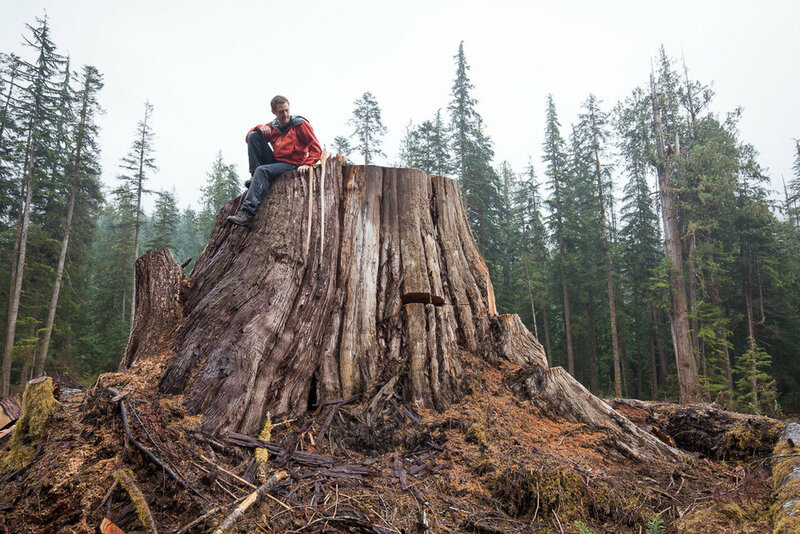 The stump from a 300+ year old Sitka spruce tree cut near Hadikin Lake on Vancouver Island. Be sure to check out Anthropocene: The Human Epoch, the latest documentary film by the award-winning creators of Manufactured Landscapes (2006) and Watermark (2013). 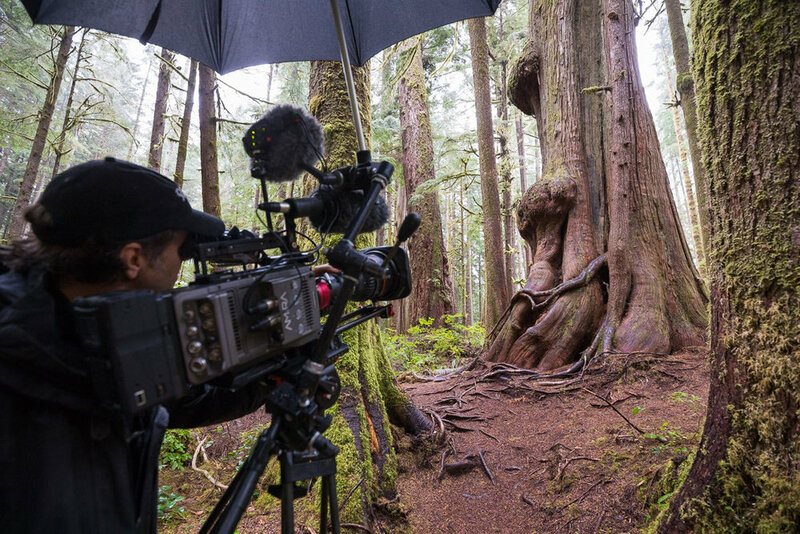 The film, which had shoots in 43 locations in 20 different countries, also features scenes of Avatar Grove and old-growth logging on Vancouver Island as one of many examples of how humans are dramatically altering the natural world. I had the amazing opportunity of guiding the crew to the big trees and big stumps around Port Renfrew over the past 2 years and it's been a great reminder that, even on a global scale, the ancient forests of BC are some of the most precious and threatened places on the planet. The film features some of my own footage too, including recent logging in the Nahmint Valley and raw log exports in Port Alberni. For more than a decade I have looked up to renowned photographer Edward Burtynsky and I'm honoured to have worked alongside him and the rest of the talented team as well. 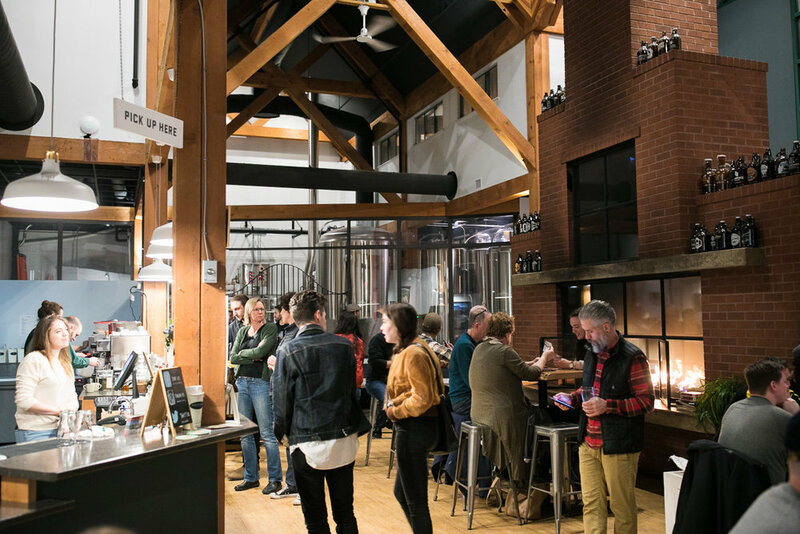 Read director Jennifer Baichwal's recent interview in the Times Colonist. Below are a few behind-the-scenes snaps from our time shooting in Port Renfrew. 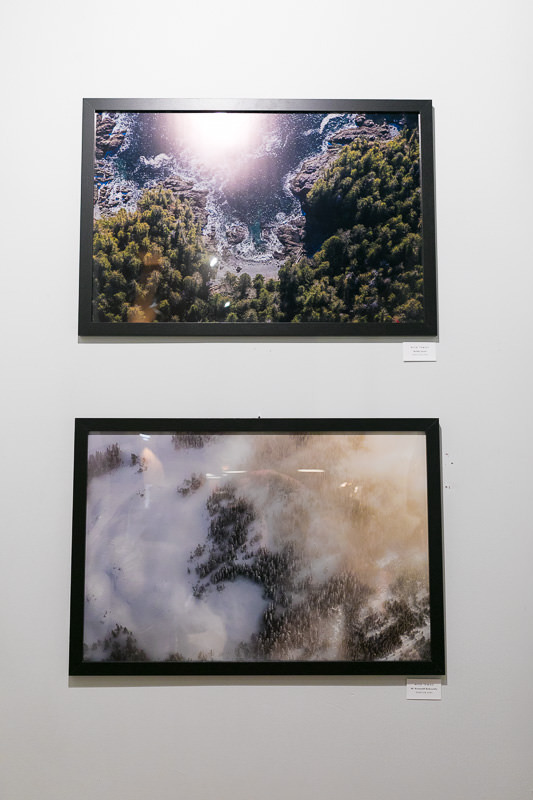 Here are some pics from the closing night of 'From Above', an aerial photography show featuring photos from across Vancouver Island shot by Jeremy Koreski Photography, Graeme Owsianski, Christian Coxen, pilot Nick Temos, and myself. 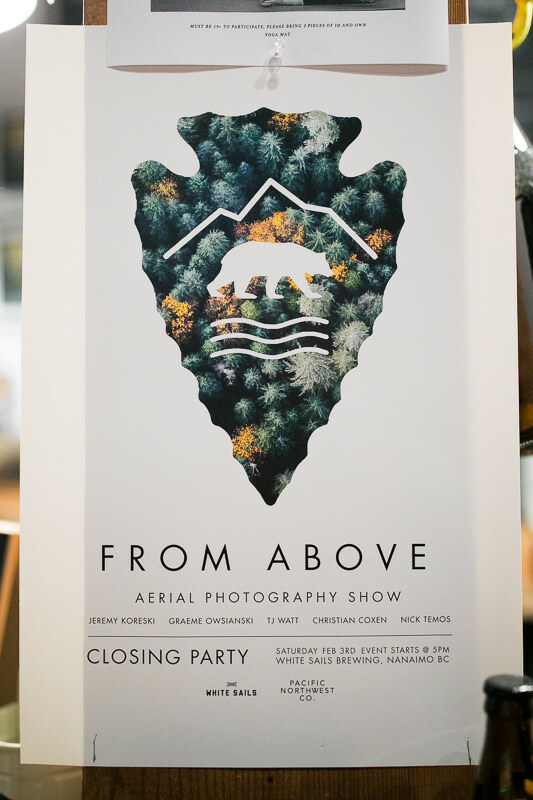 A huge thanks goes out to Nick from Pacific Northwest Collective for flying us around to all these rad places (without crashing) and for organizing the printing and framing for the show! 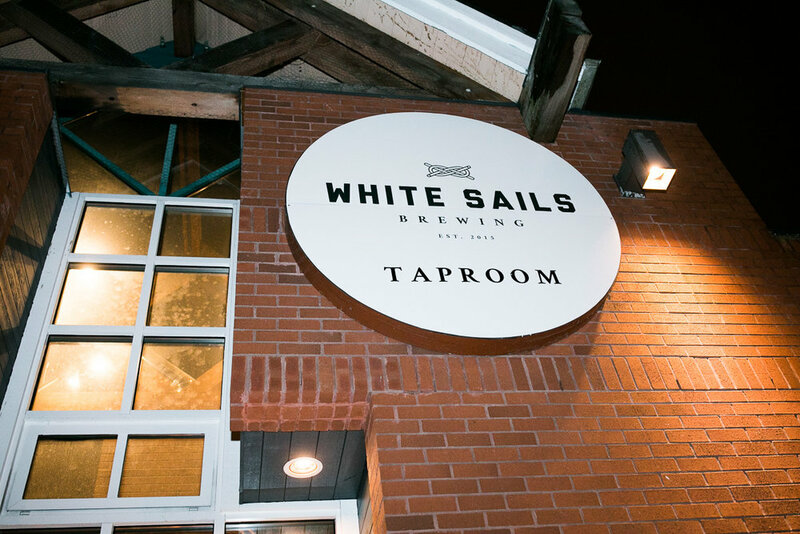 Big thanks as well to White Sails Brewing for the delicious beers and for hosting the event + all those who came out and supported the show!